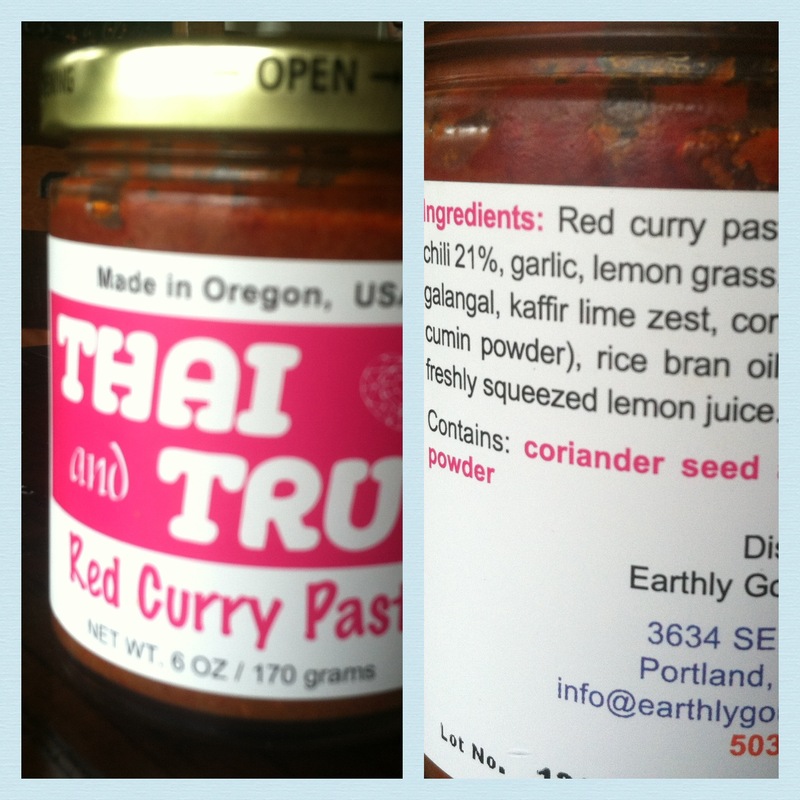 This is the Thai Red Curry paste I used in this recipe. 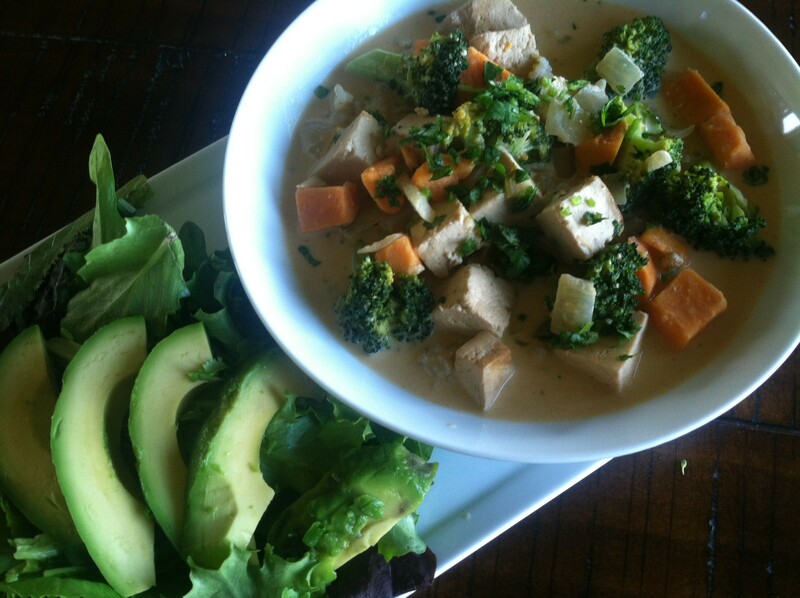 It has all natural ingredients, no sugar, and as few ingredients as possible without compromising on rich Thai flavors. When looking for new condiments that are clean, that’s what to look for; ingredients that are natural, few, and sugar free. You can purchase this online at www.danashealthyhome.com. As you know, one of my favorite menu applications is Meal In A Bowl. While this stands alone over cooked brown rice, I served it with a fresh green salad. So here’s the recipe. It’s quick and easy. Heat 2 tablespoons olive oil (or coconut oil) over medium high heat in a wide saucepan. Add cubed tofu and stir gently to coat tofu with oil. Sprinkle with a little bit of sea salt, and let brown for a few minutes. Add soy sauce, stir again, being careful not to break up tofu. 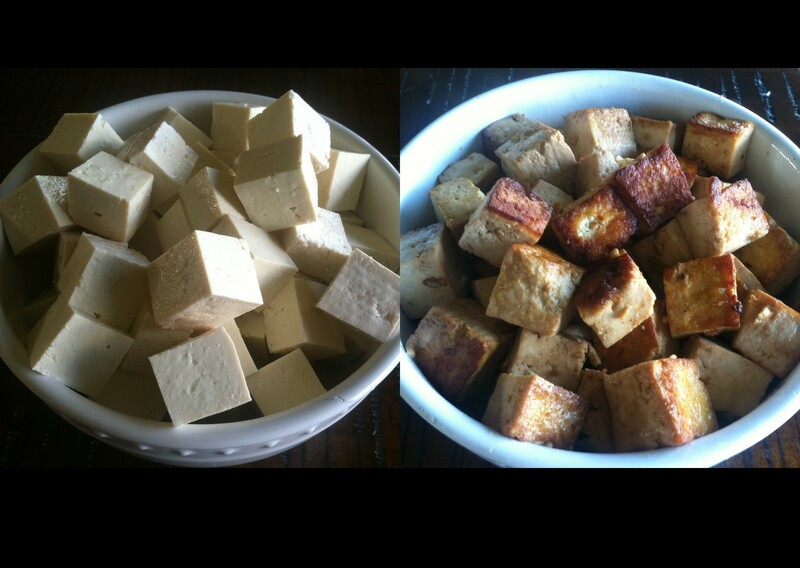 Tofu firms as it cooks, just as an FYI, but you want to keep the integrity of the shape. Continue to brown tofu, stirring every 2-3 minutes, until browned. This should take about 6-8 minutes. Transfer to a plate and rinse and dry your pan. Heat the remaining oil in the same pot, saute onion on a medium heat until translucent and soft (about 5 minutes). Add the cubed sweet potato and continue to saute 4 5 minutes until fragrant. Add sea salt, coconut milk, red curry paste to taste, and broth, Bring to a simmer, turn down heat and cook for 10 minutes, or until sweet potato is tender. Add the tofu, broccoli florets, and coconut sugar and mix to combine. Bring to a simmer again. 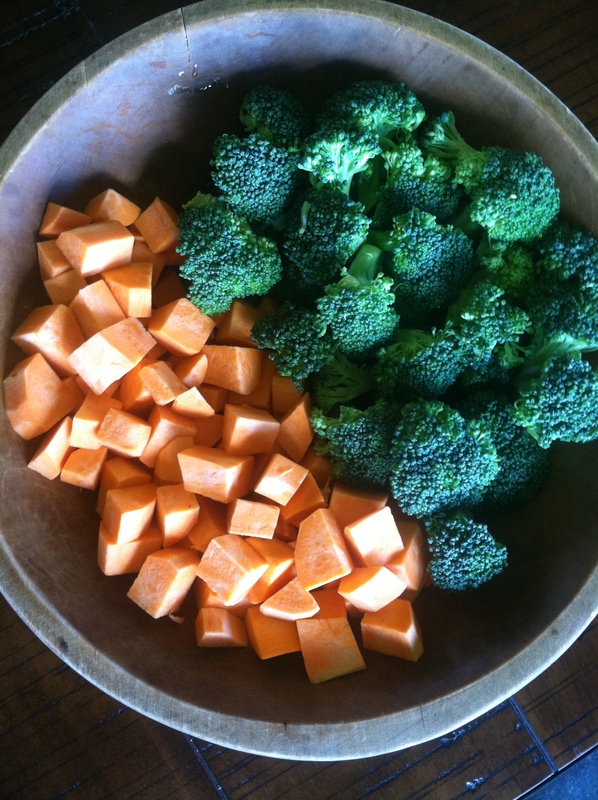 Turn heat down, cover and cook until broccoli is tender-crisp, about 5-8 minutes. Turn off heat, add lime juice. Serve over rice with a sprinkle of cilantro on top and a quarter of a fresh lime, if desired. Be creative using different veggies as they come available this season.